Instagram trolls can be so ruthless. 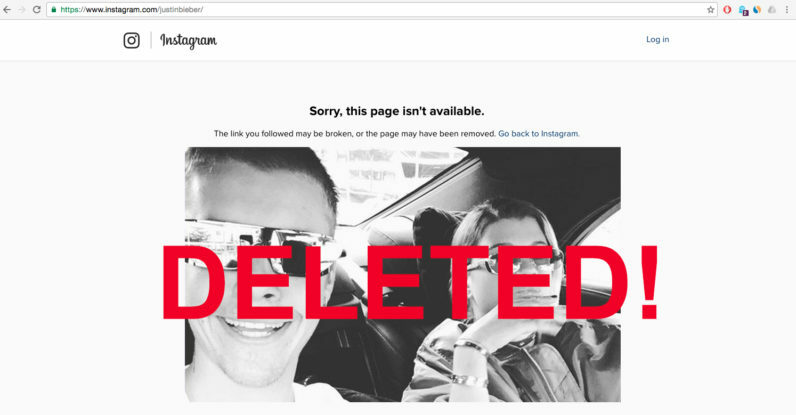 Following a slew of hate comments targeted at his new girlfriend, Justin Bieber has resorted to deleting his Instagram account to curb the insensitive abuse. The decision came after earlier threats the Canadian star made to make his account private unless Beliebers toned it down. “I’m gonna make my Instagram private if you guys don’t stop the hate this is getting out of hand,” is what Bieber’s last Instagram entry read. Biebs deleted his account in the midst of a heated argument with ex-girlfriend Selena Gomez, but we’ll spare you the details. Instagram is not the only service dealing with abusive trolls recently. Last month Ghostbusters actress Leslie Jones almost quit Twitter after her feed was flooded by a series of vile reactions from trolls following an argument with rightwing writer Milo Yiannopoulos. It’ll be interesting to see how Instagram handles the situation. In the case of Twitter, Yiannopoulos got slapped with a permanent ban after Twitter blamed him for inciting the hateful comments towards Jones. Things get a lot more complicated when you don’t have a specific individual to blame though.